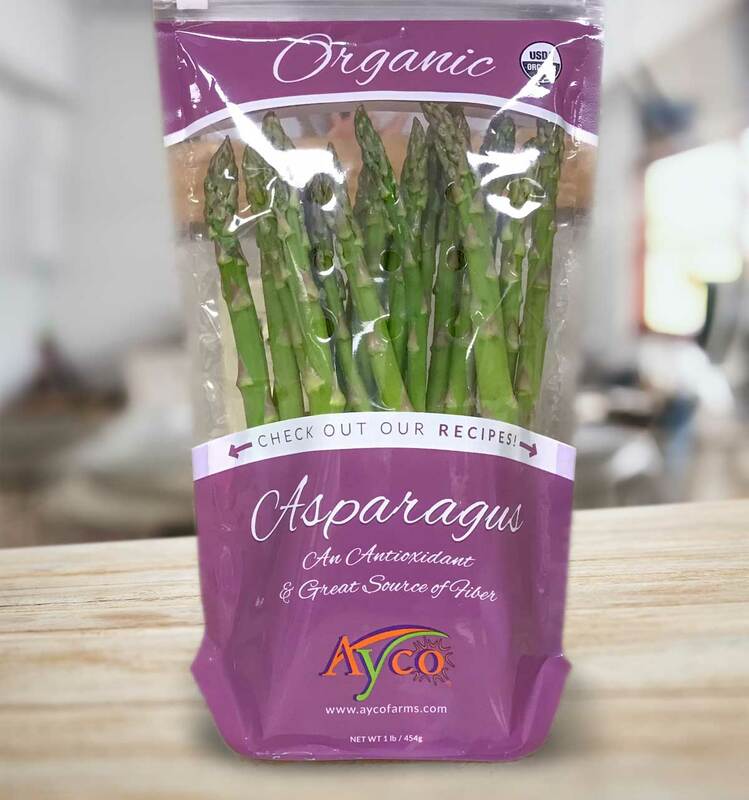 1 bag of Ayco Organic Asparagus. 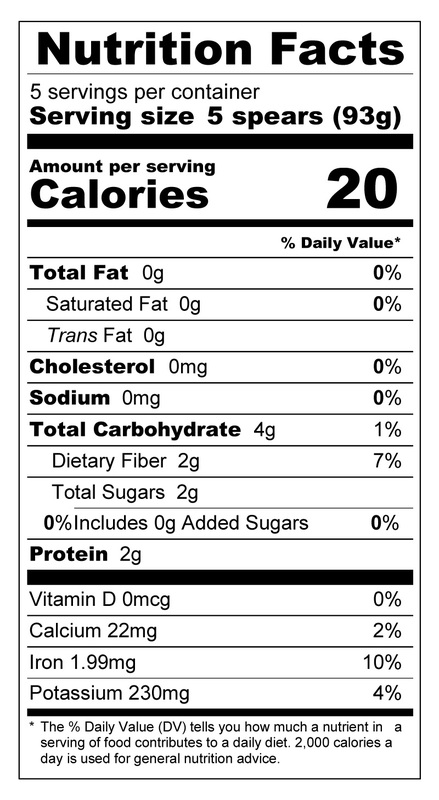 2 8-oz salmon fillets 1 inch thick. Line a large baking pan with foil and place the 2 salmon fillets in pan. 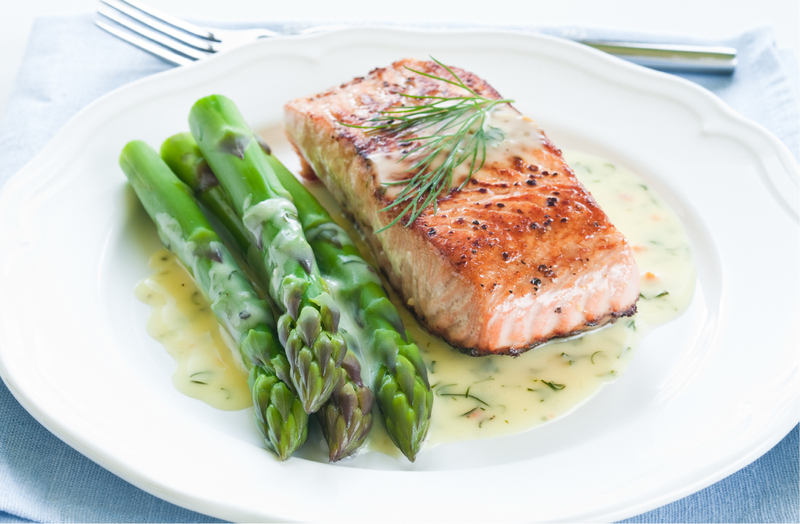 Place the Ayco Farms Organic Asparagus on the side of the salmon fillets, add salt and pepper then set aside. In a small bowl melt the 4 ounces of butter. Then add garlic, lemon juice, lemon zest and mix well. Pour mixture on top of the salmon and asparagus. Then cover top of pan with foil. Bake for 15-20 minutes, then carefully cut slit on top of foil and open. Broil for an extra 2-3 minutes to give the top of the salmon a slight crisp brown edge. Garnish with fresh parsley and serve. Enjoy!